While the EPC Cigar Company is a relatively new name in the craft cigar scene—debuting in 2009—it’s creator, Ernesto Perez-Carrillo Jr., certainly is not. Ernesto has been involved with the cigar industry his entire life, working at his family’s small El Credito cigar factory in Miami’s famed Little Havana neighborhood in his youth. And when his father fell ill, he took over operations, crafting a blend of his own and naming it La Gloria Cubana. The cigar grew to become among the biggest hits of the great cigar boom of the ‘90s and was later acquired by cigar giant General Cigar Co. Ernesto oversaw the LGC brand under the new ownership until 2009, where he parted ways—introducing the EPC brand (with the help of his children) that same year. Among EPC’s latest blends is the E.P. Carrillo Selección Oscuro, which falls under the brand’s new Elite Series. Cigars under this category are among the company’s finest blends, placed just below the ultra-premium Family Series (La Historia & Encore). Elite Series cigars consist of the New Wave Connecticut Reserva, Selección Oscuro, and Capa de Sol. Naturally, this covers the bases of a Connecticut, Natural, and Maduro blend for each palate preference. E.P. 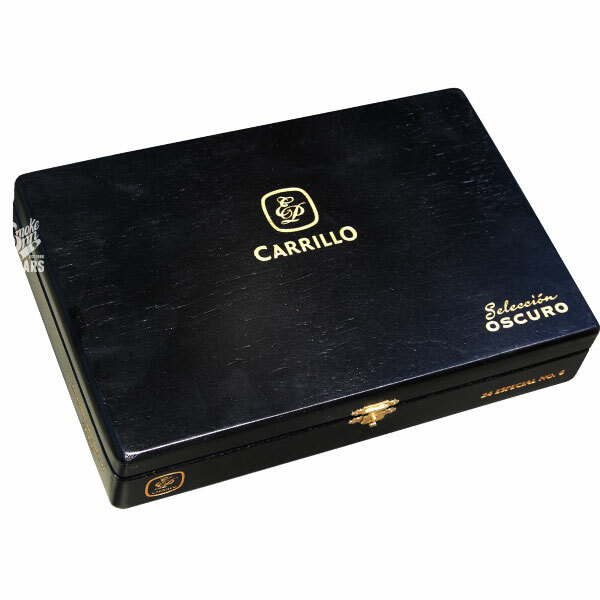 Carrillo Selección Oscuro introduces cigar enthusiasts to a dark, medium-plus-bodied blend; using a heavily fermented Mexican San Andrés Oscuro wrapper over an Ecuador binder and Nicaraguan filler tobaccos. The resulting experience is of raw cocoa powder, fresh-cut cedar, black pepper, and an interesting malt note for an added complexity. E.P. Carrillo Selección Oscuro’s crowning achievement (thus far) was the impressive ranking as Cigar Aficionado’s Number 4 Cigar of the Year for 2016!